Paul and his wife, Marsha were high school sweethearts. They have been married since 1988. They have two adult sons and one beautiful granddaughter. Paul graduated from Johnson University in 1993. He has served as the Senior Pastor at Woodland Hills since 1999. For fun, Paul loves spending time with his wife on the lake or touring the country on their Harley. They also enjoy live music of any genre, but their favorite is country. Lee and his wife Jonnie have been married since 1991. They have two adult children. Lee graduated from Johnson University in 1993 with a degree in Biblical Studies. He joined the WHCC staff in 2015. Prior to serving at WHCC, he was the Senior Minister at Lebanon Christian Church in Lebanon, IN. While in Indiana, Lee served the community in many ways including the YMCA board and as Chaplain for the local Fire Department and High School Football Team. Lee's gifts are evangelism, hospitality, and eating. If he could have a superpower it would be a photographic memory. Nick and his wife Heather have been married since 2012. They welcomed their first child, a daughter in 2016. Nick is a 2011 graduate of Johnson University where he earned his degree in Youth Ministry/Preaching. He is currently working on his Master's Degree in New Testament. Nick joined the WHCC staff following graduation. Nick enjoys playing basketball, golf and loves being outdoors. He is an avid fan of the Kentucky Wildcats. Go Big Blue! Nick's favorite pastime is napping. Roger has been married to his wife Karen since 1986. They have an adult son. Roger received the call to ministry mid-life. He graduated from Johnson University in 1997. While at Johnson, Roger was awarded the American Bible Society award for "Excellence in Bible Studies" for New Testament Greek - so he's really smart! Roger has served as the houseparent at a Christian maternity home, youth minister and preaching pastor prior to taking his role of Discipleship Pastor in 2008. Roger enjoys coffee, music, hiking, and eating (not necessarily in that order). Taylor is from Johnson City, Tennessee, though currently lives somewhere between Abingdon and Knoxville where he is finishing his undergraduate studies in Worship Ministry, Preaching and Church Leadership, and Bible and Theology. 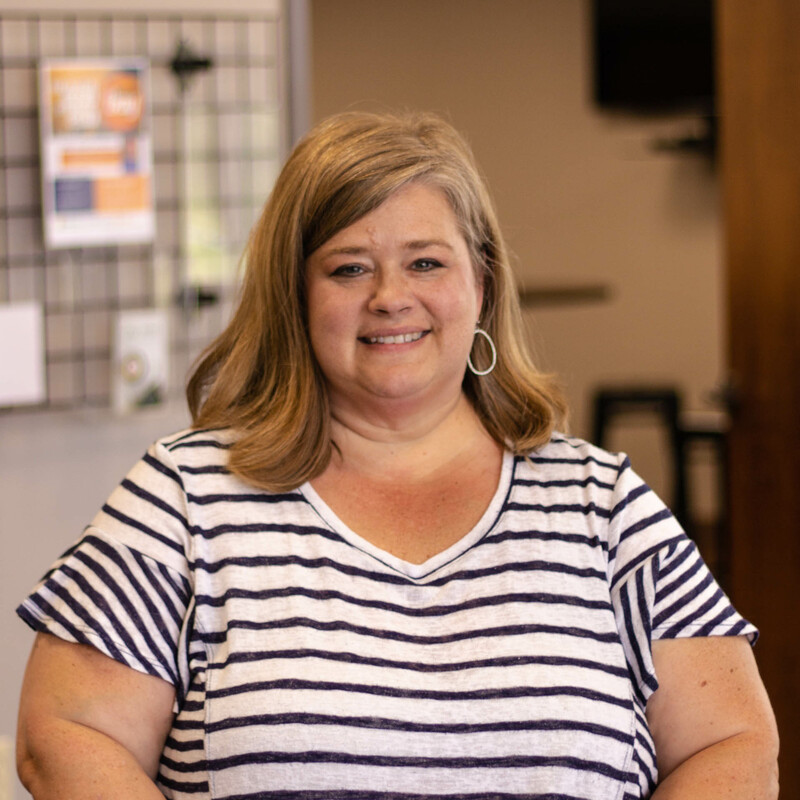 Before joining the staff at Woodland Hills in 2017, Taylor was a worship leader at Life Church in Knoxville, a student graphic designer at Johnson University, and a white water raft guide on the Ocoee River. Taylor enjoys drinking coffee, reading books written by dead people, and hiking in the Appalachian mountains. Ben and his wife Brenda have been married for 49 years and have three children and eight grandchildren. Both Ben and Brenda attended Johnson University. Ben retired in 2013 and began working in full-time church ministry; ordained January 2016. Ben served as Elder and Associate Pastor for the Mt. Carmel Christian Church. Ben also served as part-time interim pastor at the Shakesville Church of Christ in Bristol. Andrew has been married to his wonderful wife, Tara, since 2007. They have three beautiful daughters, Abbey, Lindsey, and Lucy, who keep them busy and make them laugh every day. One could make an argument that Andrew am a professional student, as he has a degree in Biology from Emory and Henry, a degree in Nursing from King University, and will be graduating in April as a Nurse Practitioner. Andrew is currently a Registered Nurse in the ICU at Bristol Regional Medical Center. He absolutely loves all kinds of music and has been leading worship in some capacity for 11 years. In his spare time, Andrew enjoy watching his girls play sports, going out on dates with his wife, and taking naps in his Lazy Boy. Philip is a graduate of Cincinnati Christian University in Cincinnati, Ohio and graduated with a degree in General Ministry. Philip met his wife, Francesca Wines when they were in high school and began dating when Philip moved to Cincinnati for College. He is a preacher’s kid and grew up in Ohio and Richmond, VA. Growing up, Philip spent much of his time at church and has always been an active part of the church. In his free time, Philip likes to play video games and board games with his friends, watch movies, and read and write. He loves superheroes and his favorite hero is The Flash. Jackie says her husband Ken keeps her grounded and lets her fly at the same time. They have two daughters. Jackie considers cartoons and games "research" and can come up with 10 games using 1 piece of toilet paper. That makes children's ministry her perfect line of work. Jackie enjoys turning her mistakes into hilarious stories and does not like condiments (not even ketchup). Amy and her husband Kelly have been married since 2003. They have 3 daughters. She graduated UVA Wise in 1995 with a degree in Psychology. Amy worked as a preschool teacher for 15 years before becoming a stay at home mom after having her youngest daughter. She returned to teaching preschool for several years when all the girls were in school. 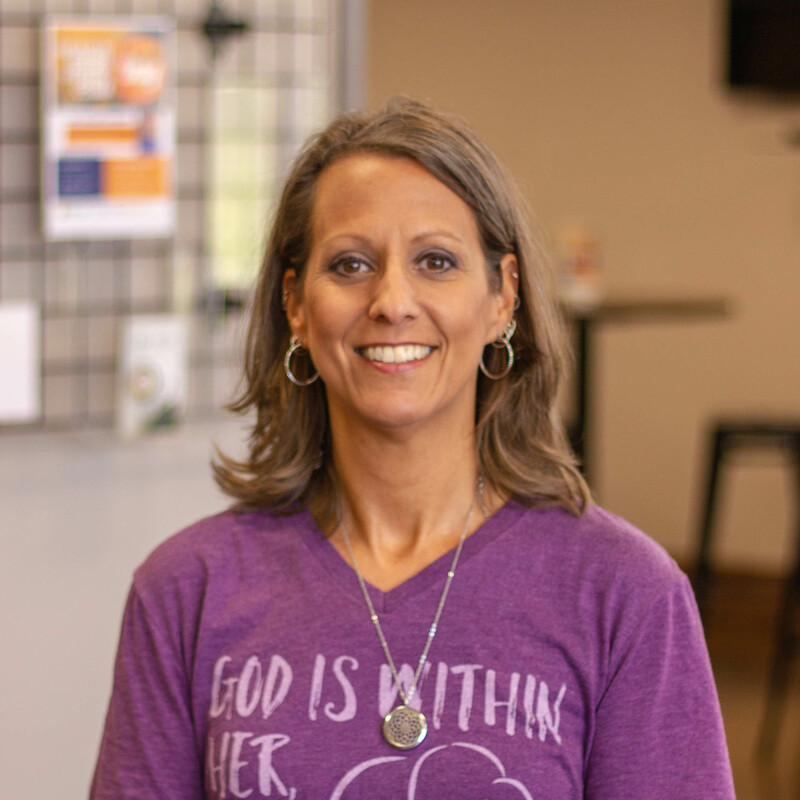 Amy then joined the staff of WHCC in June of 2018. She enjoys drinking coffee, watching her girls' dance ballet, spending time with her family, especially at the lake, and sharing essential oils with anyone and everyone. Heather lives in Abingdon with her daughter Savannah, where she has lived the majority of her adult life. She has attended Woodland Hills for 9 years and considers the church her family. In addition to her church family, she has a very large extended family that lives all over the south and loves to travel and visit with them at every possible opportunity. Her favorite time of the day is early in the morning when everything is quiet and she can enjoy her coffee. Heather is also going to school full time, pursuing a degree in Social Work. In her very rare spare time she enjoys spending time with friends, crocheting and reading. Kaylee has been married to her husband Cody since 2005, and they have one daughter. Kaylee is a 2008 graduate of the University of Virginia's College at Wise and completed a Masters degree in Accounting from Liberty University in 2012. After several fun years at home with their daughter, Kaylee was blessed to join the WHCC staff part-time in 2017. Kaylee loves cooking and baking for her family, listening to podcasts, and finding a good deal at the grocery store. In her free time, she enjoys sitting outside in the sun with a good book.